Submitted by 9th_string_catcher (not verified) on Tue, 08/31/2010 – 9:01am. I heard this on the radio and truly wish I came up with this idea. Since Perez is under a bullet-proof contract and decided he’s too good for the minor leagues, I think the Mets should make him catch. I bet there’s nothing in his contract that states he has to pitch. Put him behind the plate to catch Mejia and Parnell’s 98 mile an hour flameballs just long enough for him to get injured and go on the DL. As soon as he gets healthy, put him right back there and let him get injured again or he quits the team. Now that’s how you manage a situation. Submitted by Gordon Handler (not verified) on Tue, 08/31/2010 – 11:44am. Submitted by Gene F. on Tue, 08/31/2010 – 9:56pm. Plus, Mejia back in 32, per Mets.com. Submitted by gored82 on Wed, 09/01/2010 – 5:57am. And what number will Joaquin Arias wear? Submitted by Dave Mackey (not verified) on Wed, 09/01/2010 – 6:09am. Frenchy’s departure frees up 12. I don’t think they’ll put Arias in that number just yet. I think Arias is going to get Alex Cora’s old 13. Submitted by gored82 on Wed, 09/01/2010 – 8:50am. Submitted by Ranjrz5 on Wed, 09/01/2010 – 9:01am. Arias wore 3, 4, and 14 with Texas… I was thinking the Mets will give 12 or even 6 if Evans doesn’t come up. Submitted by Anonymous (not verified) on Wed, 09/01/2010 – 2:47pm. Submitted by Jon Springer on Wed, 09/01/2010 – 5:14pm. Submitted by Tomswid (not verified) on Wed, 09/01/2010 – 5:45pm. Anybody have a clue as to what number Dillon Gee will wind up with? I’m thinking– 40? Submitted by 9th_string_catcher (not verified) on Thu, 09/02/2010 – 1:57pm. And wearing #13: Mike Nickeas! I still believe there’s a shot for 9 catchers to play this year. And the Mets will make the playoffs. And in the Easter Bunny. Let’s see, we had Santos, Barajas, Blanco, Thole and now Nickeas. Too bad Coste didn’t get a game in. Submitted by Ranjrz5 on Thu, 09/02/2010 – 2:24pm. Santos was called up earlier, but did not get into a game. Coste didn’t even make it out of spring training, was claimed by Washington on March 29. Submitted by gored82 on Sun, 09/05/2010 – 10:24am. And a fine season he had in DC, getting placed on the DL April 4th and later being shut down for Tommy John surgery w/o getting into a game…and who cares how many catchers the Mets use? Submitted by Gene F. on Mon, 09/06/2010 – 8:29am. Dillon Gee is up and will start for Santana on Tuesday. 40 is available, and seems likely. 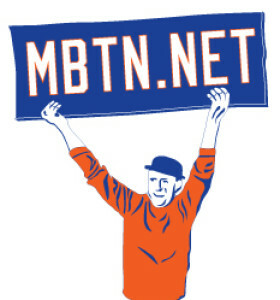 No number listed on Mets.com yet. Submitted by Ranjrz5 on Mon, 09/06/2010 – 11:35am. Mets.com now has him listed as #35.